Our last day of the season is November 21, 2018, the day before Thanksgiving. We will reopen March 1, 2019. 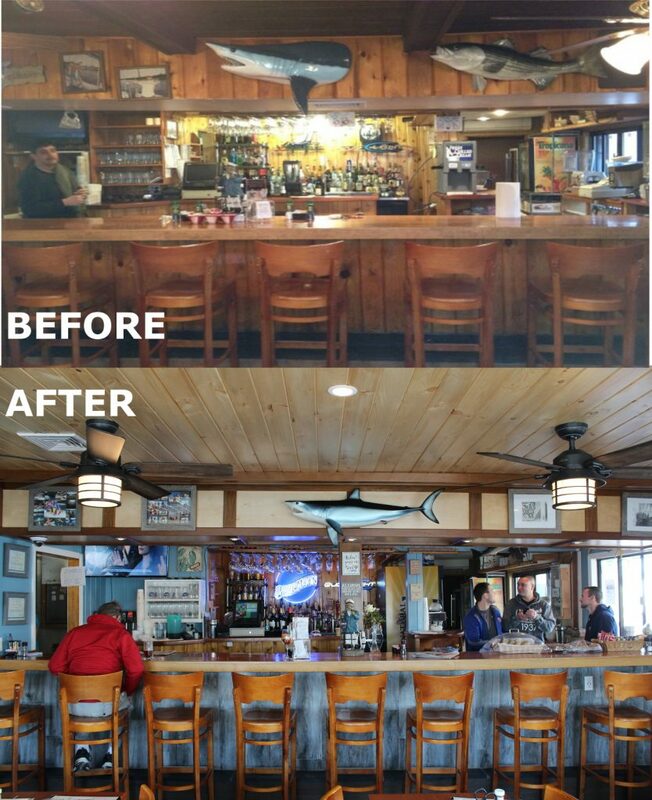 Thanks to all of our valued patrons for another great season and we wish everyone a happy and safe winter. 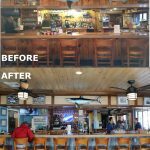 Inside Nicky’s Clam Bar you’re greeted with a newly renovated dining area and bar – bright and airy, accented with a nautical decor. 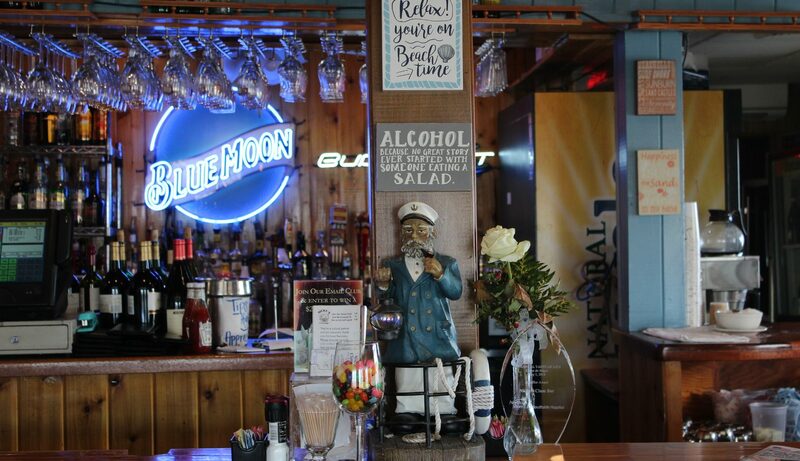 Our sit down bar offers a full beer, liquor and wine selection. We offer many local brews on a rotating basis. 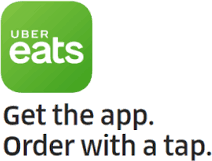 The service is fast, friendly and fun. 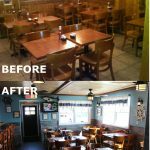 Take a look at our renovations for 2017! 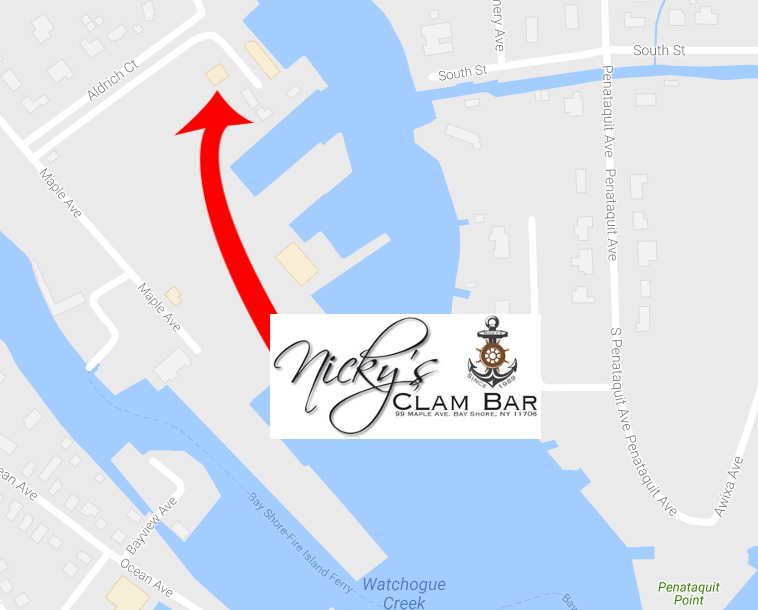 Nicky’s Clam Bar is located at 99 Maple Ave. in Bayshore, in the marina for the Fire Island Ferry. 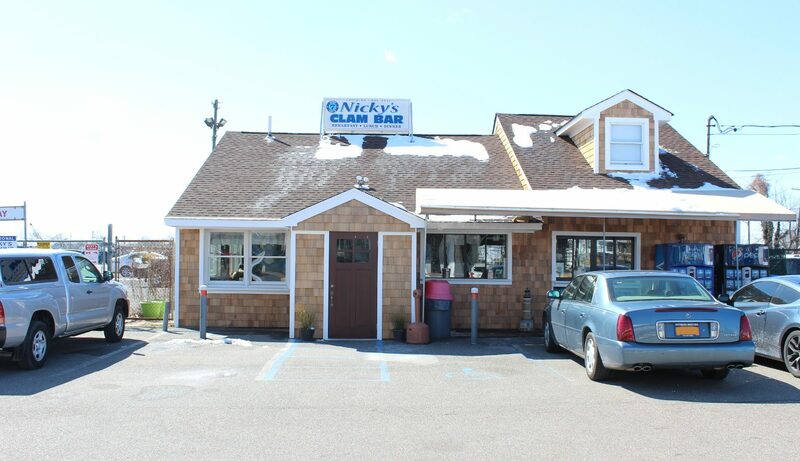 This casual unassuming restaurant seats 30 and has a busy take out window catering to the dashing ferry patrons, all eager to get to their summer homes on Fire Island. 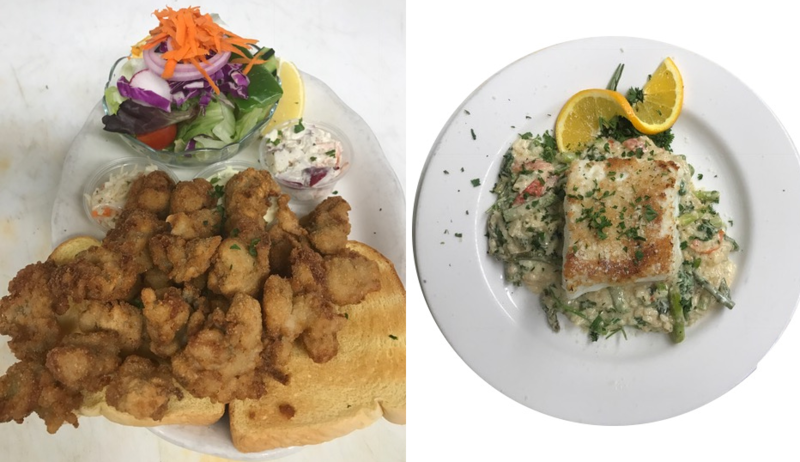 Daily Lunch Specials Monday through Friday and Weekly Dinner Specials. 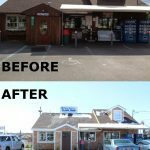 We are open Monday-Thursday at 6:00am and close around 9:00pm, Friday 6:00am – 9:30pm, Saturdays and Sundays we are open from 6:00am – 9:30pm until further notice. 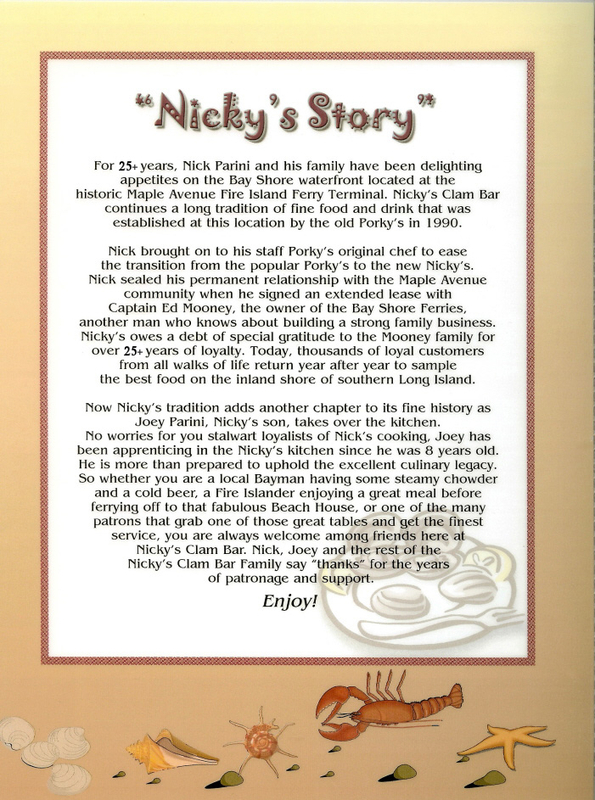 We close the day before Thanksgiving and re-open February 1st. 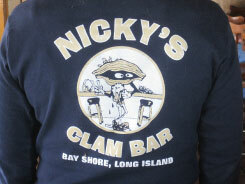 We look forward to another wonderful season here at Nicky’s Clam Bar! 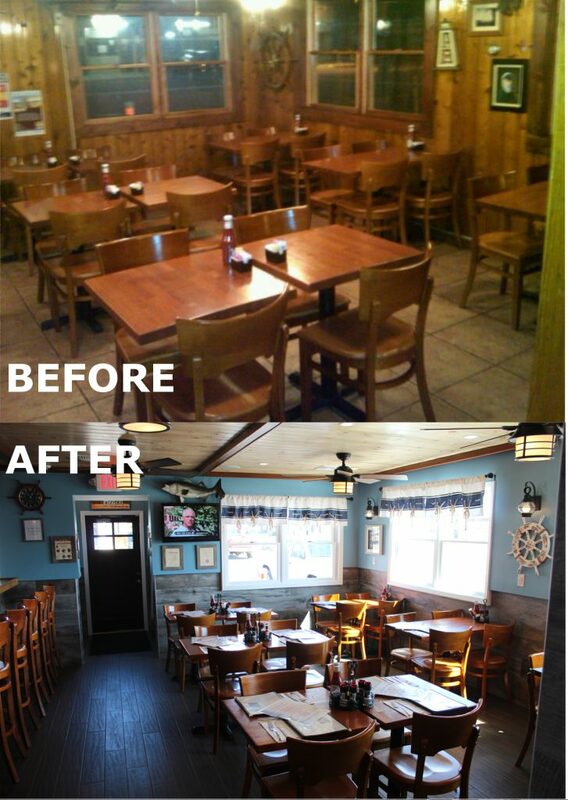 Stop in to our casual dining room for a delicious breakfast, lunch or dinner. 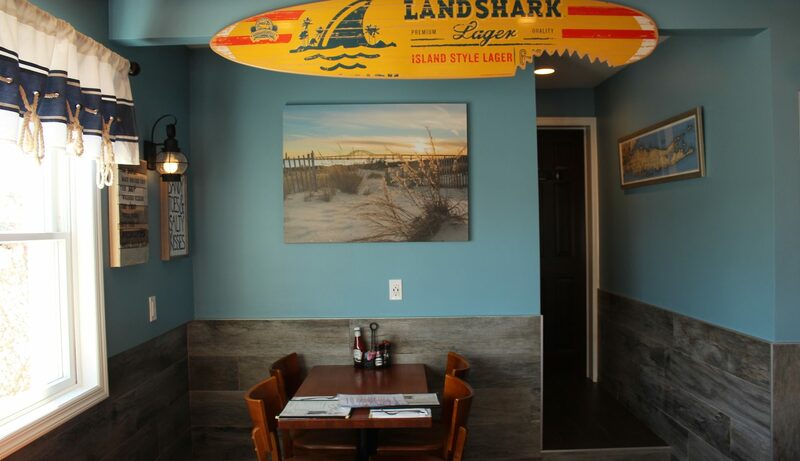 You’ll be surrounded by the views of the Fire Island Ferries and the dashing vacationers while you dine on any one of our burgers, salads, Italian entrees or seafood specials. 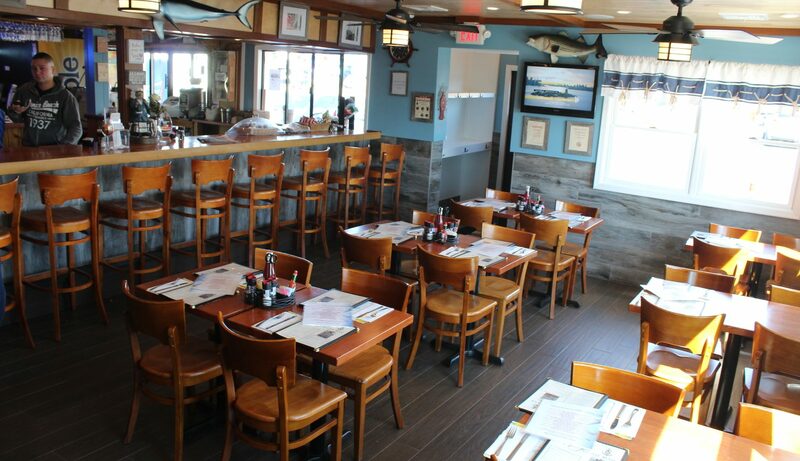 We’re the perfect place to stop before you head out for a day of fun on the ocean. 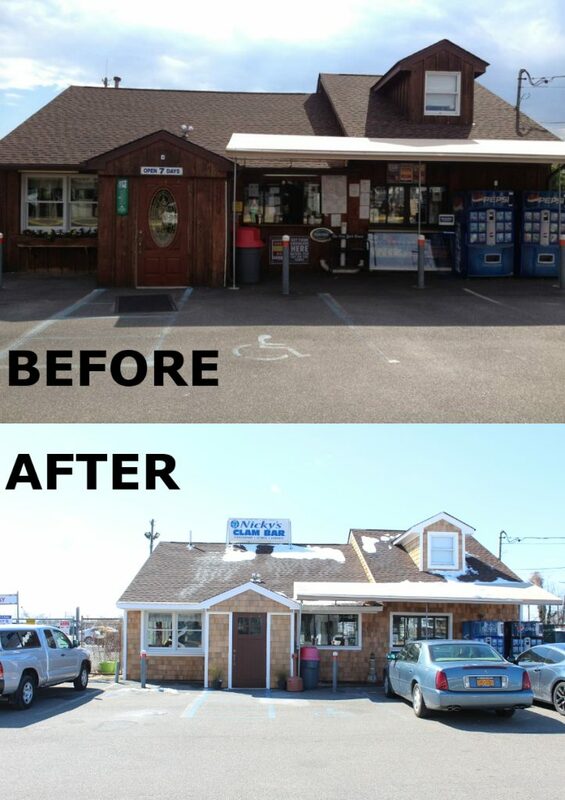 Grab some of our delicious food to go and enjoy it on the boat. Or just stop in after your fun in the sun for a perfect end to a perfect day! We offer options and accommodation for our gluten-free and vegetarian guests. 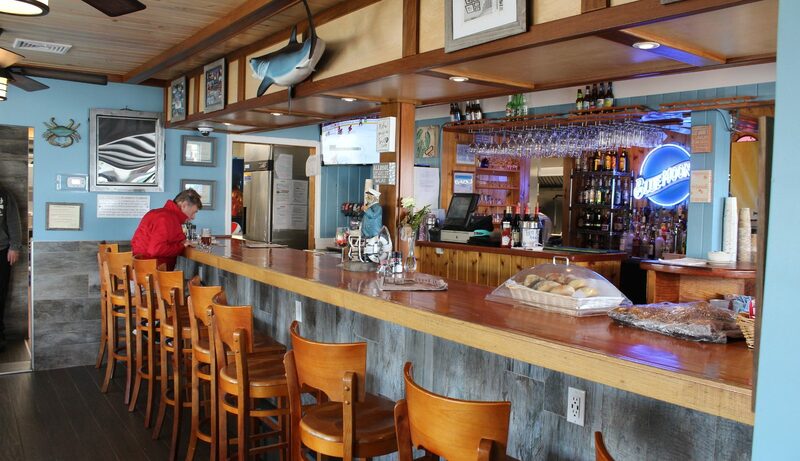 We have gluten-free beer, gluten-free and vegetarian soups and other menu items as well. Please alert your server.